Founder& CEO in charge of inspiring clients to engage their employees, electrify their cultures and develop their leaders. I am blessed to have a snow day today with my children. They are getting more and more excited about their Christmas break and waking in the wee hours to see presents wrapped under our lovely tree. 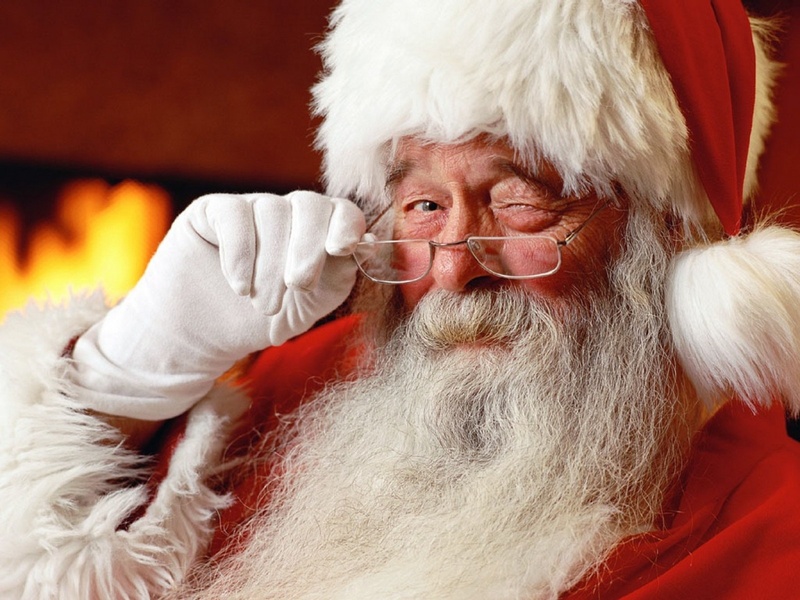 I know that there are many who do not celebrate Christmas for a variety of reasons, but I did want to share some thoughts from the eyes of my young children on how Santa "delights" them during this magical time of year. We can all learn a little from how they perceive their experience delivered by the illustrious, Santa Claus. 1. He Prepares All Year Long. I find it really interesting that my children show real appreciation for Santa and his elves preparing all year to create a delightful experience for them on December 25th. Truth be told, their father and I work pretty hard to create that special feeling for all of December and some of January by doing little things to remind them of why we celebrate Christmas. Today, my 12 year old said about Santa, "He doesn't sleep all year so that we can have a fun day and presents to open." This sentiment really does get to the heart of why organizations should take a nice amount of time to design experiences that not only can be executed on a consistent basis, but ones that will be anticipated, celebrated and remembered. Are you preparing to delight your customers, or are you "glue-sticking" interactions and exchanges together and calling it an experience? 2. He Gives Us What We Ask For When We Ask For It. I thought it was really interesting how intuitive my children's comments were around ways that they are a "customer" to Santa. My 10 year old son said, "Santa delivers what we ask for in our Christmas letters exactly when we want it and even when it' s a little different than what we asked for, it is still great!" As someone who spends a lot of time seeking, analyzing and communicating customer and employee feedback, this one enlightened me the most. They want it to meet their needs as closely as possible. My son's comment really just illustrates how much we over-complicate what it takes to delight our customers. Is your organization making assumptions about what your customers want, or are you asking them and then doing something about what you hear? Commit to taking action today and you will positively change your customer's perception of your brand. 3. He Puts Our Needs in Front of His Own. This one came straight from my daughter's mouth this morning. Santa sacrifices himself so that we can have what we ask for. He puts us before him and makes sure we get what we need. Okay this might be a little dramatic, but it is my daughter's truth. This is what happens inside of customers too, especially those who become fanatical about a particular brand. It is the customer's truth that matters when we are thinking about and doing things to transform their experience. We must involve them in the process of creating an experience that changes their "truth" to one that helps them see that we are putting their needs first. We change this truth when we actually begin to think of them as partners, when we start to act in a way that shows that their voice matters. As soon as we prove that we are wholly interested in creating real value to them and helping them get done what they were looking to get done by working with us, our customers will anticipate, celebrate and remember us. This will then create increased brand value, loyalty and more growth. Although this is all based upon the innocent comments of children 12 and under, do you see how thinking differently about what your customers anticipate, celebrate and remember about you can really change your relationship with them? I would challenge anyone reading this to take these child-like thoughts to heart when embarking on new customer experience initiatives. Thank you for reading this article. I learn a lot from my children. We can all learn the same types of things from our customers. What other lessons have I left out here? How can you or your organization begin to create a customer-centered culture? I would welcome all comments. If you found this content insightful, you can Follow us here and on Twitter. You can also sign up for our newsletter here for great tips and stories meant to inspire customer experience action!